New evidence has been uncovered that depicts the biblical Noah’s Ark to be round, made from reeds and six double decker buses in length. Archaeologists have been searching around the globe for many years trying to uncover any factual evidence of Noah’s flood, however many believe due to the fact that there is little actual documentation of the event, that the event may be an Old Testament myth. A new book now claims otherwise, stating that Noah’s Ark was in fact a round coracle, looking very different from the traditional image of the Ark. 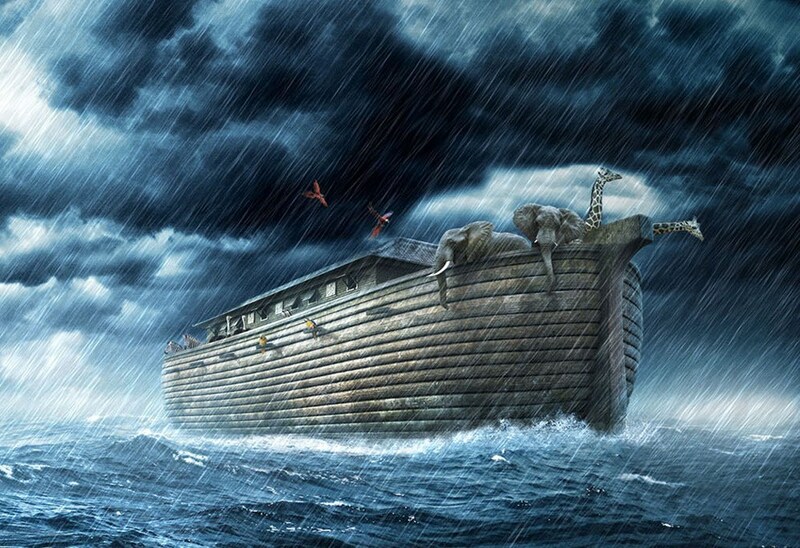 In the book titled The Ark Before: Decoding The Story Of The Flood by Irvin Finkel, it claims that the vessel had 2 decks with cabins to hold all the animals. Dr Ivring Finkel, a British Meseum expert, explains how decoding the symbols on a tablet 4,700 years old has now enabled a new interpretation of the classic story. The evidence comes from a 4,700-year-old tablet of clay covered in cuneiform writing, which contains “detailed instruction manual for building an ark,” says Finkel, an assistant keeper of the ancient Mesopotamian script, languages and cultures department at the British Museum. Read the entire article here at The IB Times.